Liam Neeson has always been a hard-working actor, but in the past few years he has proven tirelessly prolific, appearing in three to four films a year. Fitting then that he's now shooting an action-thriller called Non-Stop. The feature penned by Christopher Roach and John W. Richardson reunites Neeson with his Unknown director, Jaume Collet-Serra. Despite its lackluster title, that $30 million mystery movie went on to earn more than $130 million worldwide. So it's easy to see why Unknown's producer Joel Silver would be eager to reteam its star and helmer for this thriller. Currently in production in New York City, Non-Stop boasts a supporting cast that includes Julianne Moore, Scoot McNairy, Corey Stoll, Michelle Dockery, Anson Mount, Nate Parker, and Bar Paly. Though Universal Pictures is slated to distribute the thriller domestically, no U.S. release date has yet been announced. 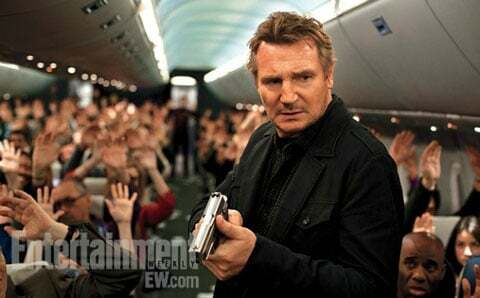 Nonetheless, Non-Stop is expected to touchdown in 2013.